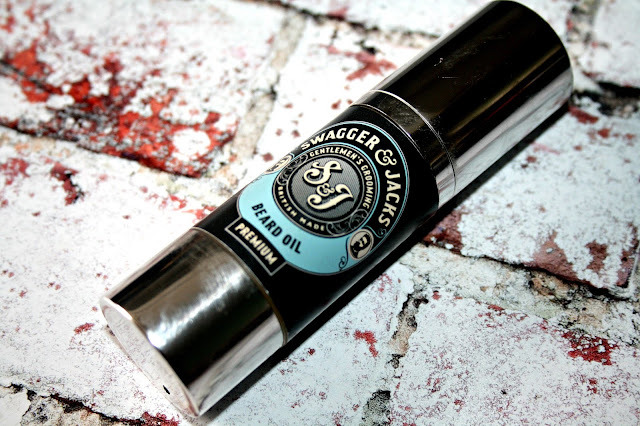 You would need a good memory with a stalker like attention to detail to know that Swagger & Jacks Premium Beard Oil was my first foray into beardcare or beard grooming of any kind. My beard routine previously was simply a case of let it grow, the hair got itchy and scratchy and the razor came out within weeks. 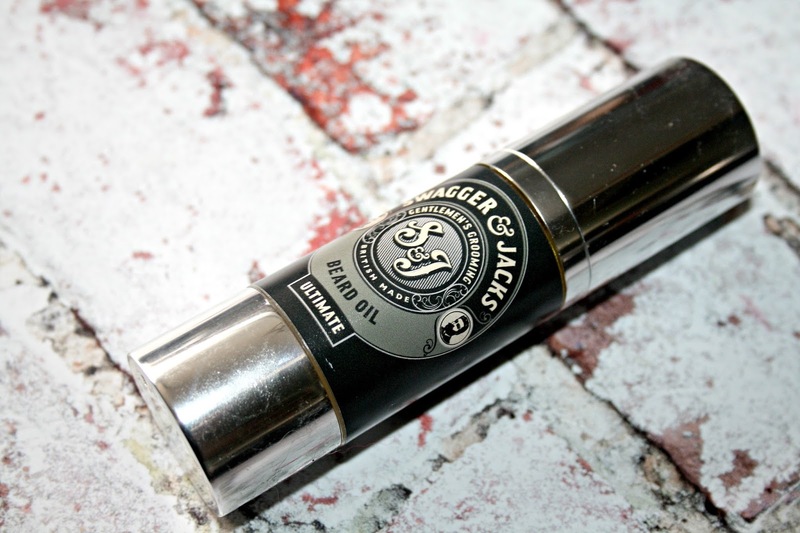 You can see what I thought of their Premium Beard Oil here (it's an old one from March 2015). 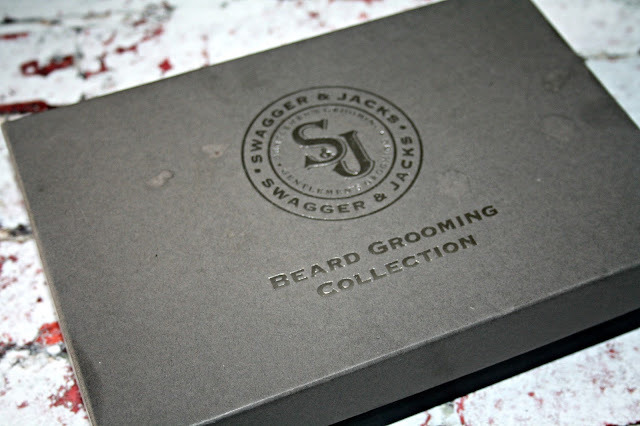 The focus today is going to be on Swagger & Jacks and the amazing gift sets to keep your beard looking and feeling country strong. 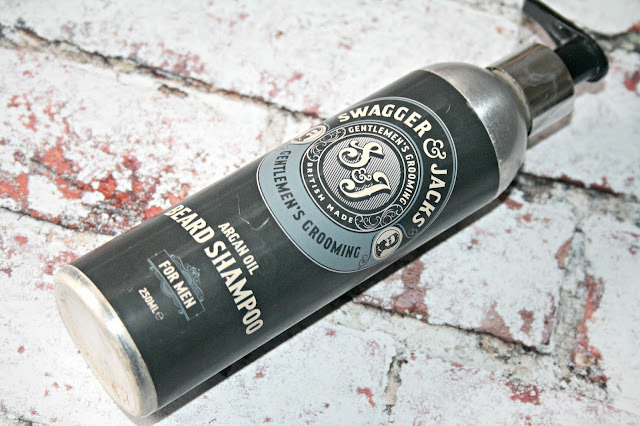 Who are Swagger & Jacks? Well, it's a men's barbershop in Norwich. I haven't been, but a casual glance at their Instagram page here and you can see that they have a bunch of talented professionals (with cracking beards) who can groom you to and beyond perfection. When they say that their products are formulated and created with a dedication and commitment to quality you can take their word, and mine that they are spot on. I have been lucky enough to have tried two of their gift sets, both of which have been used for the last four months - from the moment I shaved to now, with a beard that can best be described as Viking-esque. 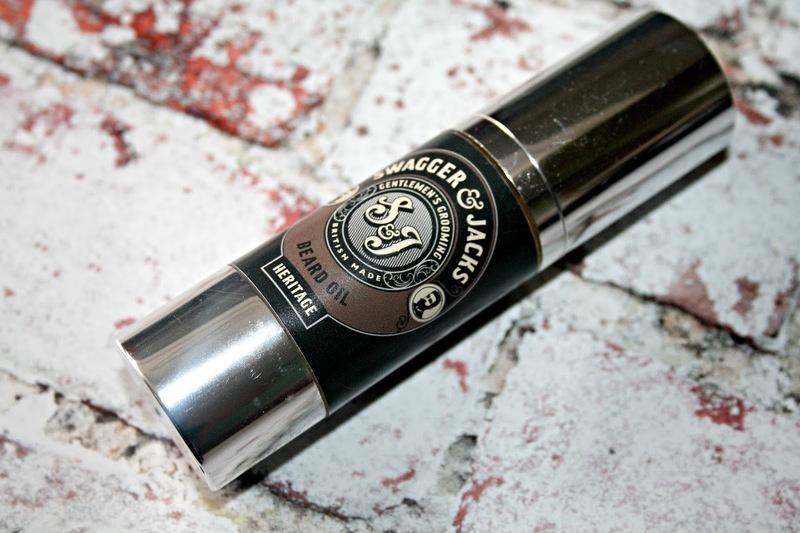 You can check back to my previous post to read the praise heaped on the premium beard oil, but for me, the by far and away the revelation product has been the beard shampoo. It has a light, subtle lavender and oak moss fragrance that explodes as soon as you start to massage the soapy liquid into your beard. Just a tiny little pea sized amount in the palms and boom you have a lather party happening right there on your face. The thicker consistency of the shampoo melts away as soon as it comes into contact with a damp beard and working it through the hair is a dream - you can feel the Argan oil being absorbed into the skin which leaves my face, and beard feeling on top of the world. The hair feels and looks hydrated, it has a much glossier shine to it and best of all, the skin under and around the beard is softer to the touch. Top notch beard product from the S & J team that deserves every bit of kudos being thrown their way. The beard balm is a touch fiddly - that is down to my inexperience of using and applying a solid beard balm rather than the product itself. 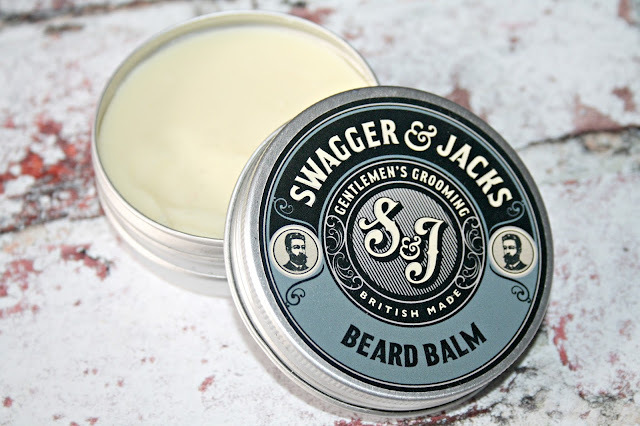 It took me a while to master how to get an even amount spread through my beard but once I'd got a grip on it I found that not only does it smell amazing, the jojoba is divine, it does provide a decent hold to keep the hairs in place all day long. After a couple of minutes and a bit of brushing the long bristles are tamed, providing a touch of respectability to my face. Second up is the Swagger & Jacks Beard Grooming Collection Gift Set which sells for £65 here. Each oil has a solid woody fragrance base that blends beautifully with the beard shampoo. My favourite has to be the classic beard oil, it has a lighter fragrance but in terms of results they all deliver in spades. After warming some of the oil in my palm I find it a dream to smooth and massage into my beard - it's absorbed in super quick time and leaves just a hint of the oil on the surface. This residue oil provides a wet look shine and makes styling/brushing childs play. 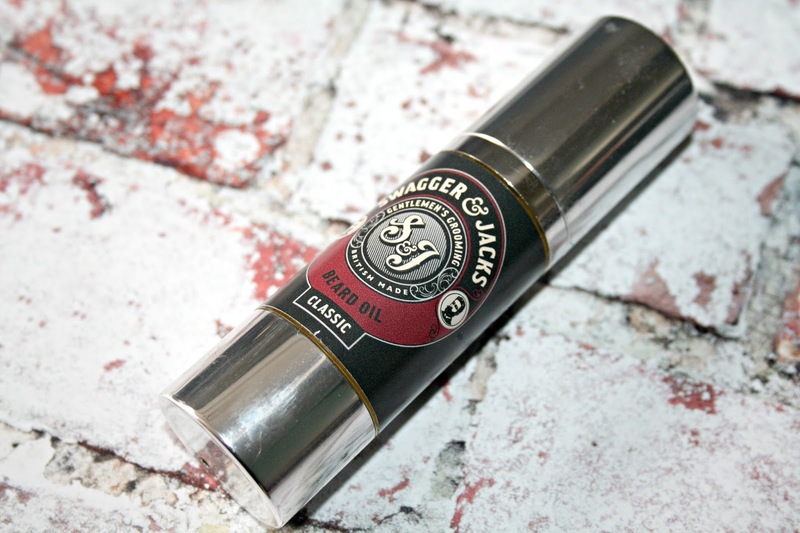 Leaving the best, most positive thing to say about their oils until last - I can, hand on heart say that my beard grows much faster when using oils from Swagger & Jacks - it comes through faster, it's much thicker and feels healthier. What's not to like? 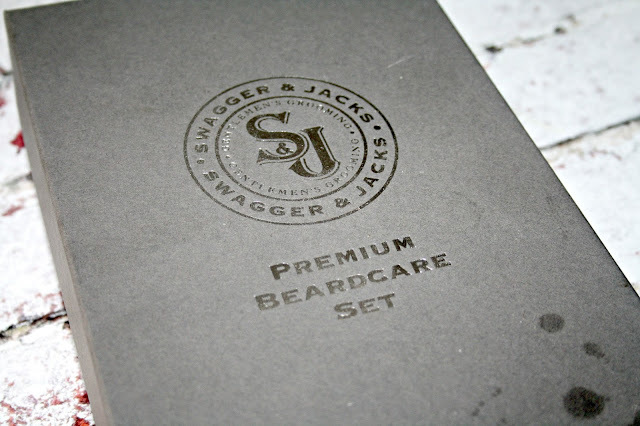 Both of these gift sets would be perfect for the bearded man in your life, and as if these aren't enough, there are loads of others to choose from at the Swagger & Jacks website with everything from beard oil to shaving kits available. Speaking from experience you really cannot go wrong with Swagger & Jacks, the products come looking like they have just being hand delivered from a luxury boutique, the deliver exactly what each product promises and in the case of the beard oils, everything about them oozes masculinity while banishing that growth itch from the face. This would be the ideal Christmas present for my other half.. it's scary how close it is getting now! Definitely sounds like the perfect Christmas present for boyfriends/dads/brothers etc. Love the packaging! 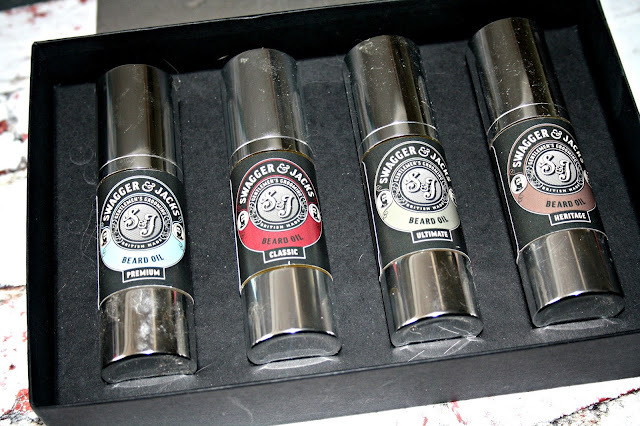 This beard care set would make a fab gift the packaging looks fab, I bough my husband something similar and he never used it I think because he’s too much of a mans man. I love the packaging! Perfect gift idea for the bearded men in my life! I love the package this item comes in. I bet many husbands would be happy to get this.